Beveridge & Diamond welcomes Tracy Williams and Kirstin Gruver to our Seattle office as Associates. “I am delighted to welcome Tracy and Kirstin to our growing Seattle office. Their experience and skill will further support the services we provide clients on the West Coast and nationwide,” said Seattle Managing Principal Dave Weber. Tracy Williams advises clients on compliance with federal and state environmental laws, with an emphasis on site remediation. She represents manufacturers, non-profit entities, and individual clients in both federal and state courts throughout Washington State and negotiates with state and federal regulatory agencies regarding cleanup of contaminated sediments, soil, and groundwater sites. She assists clients with remediation at complex multi-party sites, in preparing stormwater pollution prevention plans and submitting discharge monitoring reports, and with resolving CWA citizen suits. 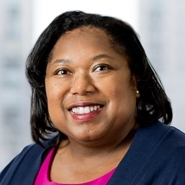 Tracy has over ten years of experience with MTCA, CERCLA, and CWA matters, identifying cost-effective compliance solutions, assisting clients with due diligence processes, determining liability and addressing insurance issues, and negotiating settlements. 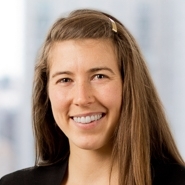 Kirstin Gruver focuses her litigation and regulatory practice on wetlands and water issues. Prior to joining B&D, she worked as a deputy prosecuting attorney at the Clark County Prosecutor’s office. She also interned at the U.S. Department of Transportation’s Maritime Administration and clerked at Earthjustice. Kirstin served a year with AmeriCorps before attending law school working in the Flathead Valley on watershed conservation and restoration work and led environmental education sessions at her local Boys and Girls Club on the importance of wetlands and sustainable water resources.